You have the choice of sweeping your rewards into your investment account, IRA or 529 college savings plan. And there's no annual fee. 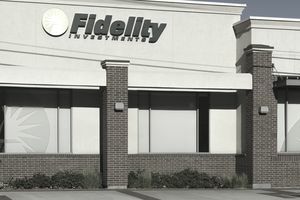 Fidelity customers who want to increase their portfolios with credit card spending. Generous cash-back rewards that go into your investment account. Points can also be redeemed for cash, travel, gift cards, and merchandise. Must have excellent credit to qualify. Two points per dollar on all purchases. 0% for the first seven months on balance transfers, then the purchase rate. Balance transfer fee: 4% of the amount. The Fidelity Rewards American Express card is similar to the Fidelity Investment Rewards Visa Signature Card, with one big difference: you get 2% cash back on your purchases, compared to 1.5% with the Visa card. Other than that, they're basically the same. There's no annual fee, and there's a 13.99% APR on purchases. You'll need good to excellent credit to qualify. There's a 0% APR on balance transfers for the first seven months; the balance transfer fee is 4% percent. The Amex card comes in three varieties, depending on what type of Fidelity account you have. The Fidelity Investment Rewards American Express Card deposits your rewards into your mySmart Cash Account or your brokerage account. The Fidelity Retirement Rewards American Express Card deposits your money into a Fidelity IRA as a current year contribution. The Fidelity Investments 529 College Rewards American Express Card deposits the rewards cash into one or more Fidelity-managed 529 college savings plan accounts. Family members - think grandparents and other relatives - can link their cards to the 529 account to earn even more rewards. You can also split your rewards among multiple accounts. Once you earn 5,000 point - by spending $2,500 - you'll earn $50 in rewards which are swept into your Fidelity account. You can also elect to redeem your points for travel with no blackout dates, merchandise, and gift certificates. There's no limit on how many reward dollars you can accumulate, although points do expire after five years. It is clearly a better alternative to the Fidelity Investment Rewards Visa Signature Card, simply because it pays a two percent reward versus 1.5%. Other than that, the cards are basically the same. Of course, if you simply prefer Visa over Amex, then you should get the other card.